The menu bar hides automatically when I switch to fullscreen apps, which is so irritating. I use the Macbook for development, and I often will have atom IDE in one fullscreen, and chrome in another, and I will 3 finger swipe between them to code and then test. But I often need to access the menu bar in both full screen apps, and currently I have to wait for it to decide to show when I move my mouse to the top of the screen, and then theres the times when I move my mouse too close to the top of the screen and it shows when I DONT want it to, and it covers up my file tabs in atom IDE, then I have to move the mouse down and wait for the menu bar to GO AWAY so I can change which file Im working on. Im playing this constant irritating game of peekaboo with the stupid menu bar in full screen apps. PS I dont want to simply 'maximize' my apps on the main desktop, I want them to go fullscreen on separate desktops but I just want a way to force the menu bar to stop hiding. TL:DR - Set up half a dozen Spaces. Set each app to open in its own Space. Switch using hotkeys [or swipe]. Bye bye fullscreen apps. Hello menu bar. from a trackpad: Swipe up using three or four fingers. 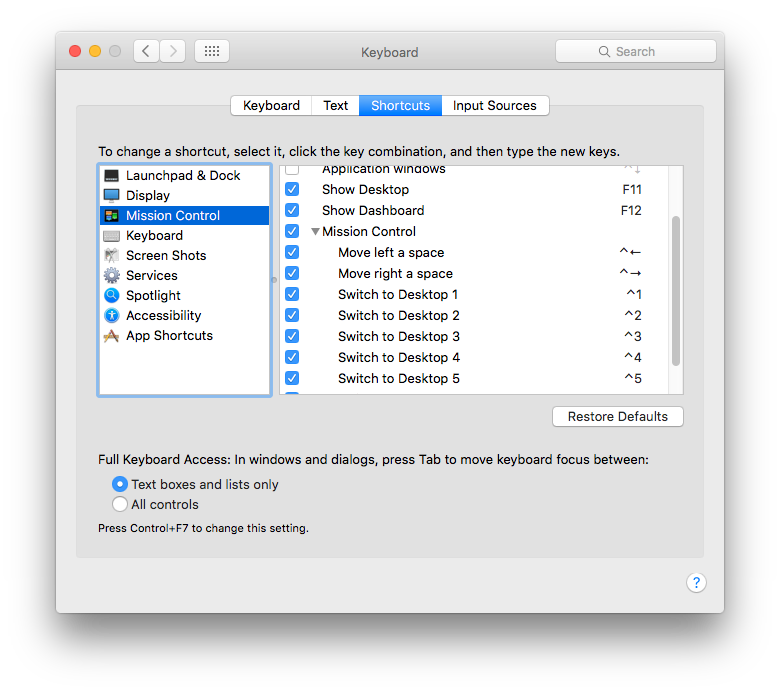 From the keyboard: Press the Mission Control key [F3]. Or, press Control-Up Arrow. Click the + sign to add more Spaces [I faked the + closer in photoshop, it will be extreme right] You can change the desktop background later if you like, same way as changing it on your first Space. Move to one of your new Spaces. 3-finger swipe, activate Mission Control & click one, or set up hotkeys. 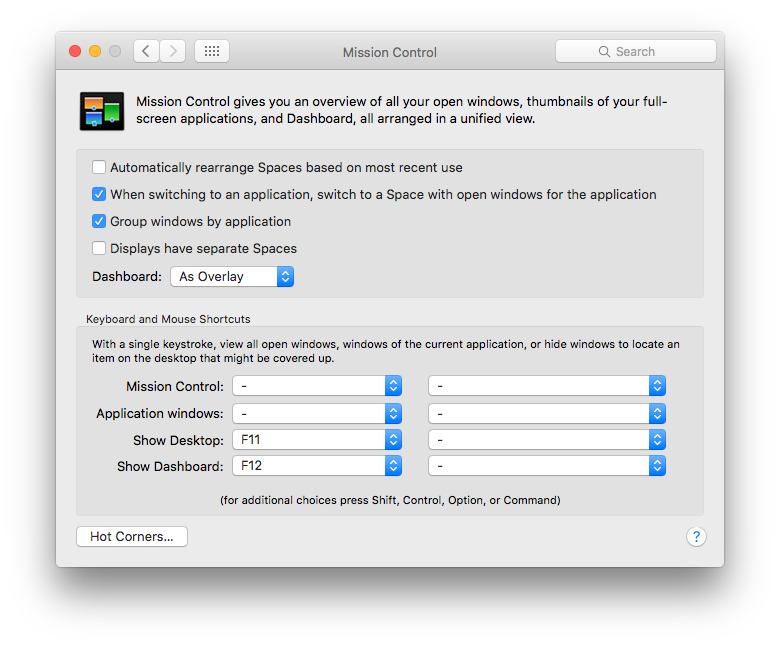 System Prefs > Keyboard > Shortcuts > Mission Control. By default these are set to Ctrl ⌃ [number] but aren't activated. [They're also set to the numbers above qwerty. if you have a 10-key numpad, you need to decide which to use; they are recognised as different keys, though you can't see the difference in that pane. Option/clicking the green dot will maximise instead, or you can just drag the window from any edge or corner. Repeat for your other apps. You can change which Space any app occupies [or even single window, temporarily] by holding its title bar & hitting the key combo for the Space you want to go. Key combos are faster than swiping or using control/arrow. Literally faster, the animation is double-speed plus you can go straight from 1 to 6 etc. No more need for fullscreen apps, the menu bar will stay where it belongs. All you need to do is remember which numbered Space belongs to which app [or app 'set' you can have as many as you like if you manually tile them. I tend to keep mine in sets, related apps on one Space, or if they need more room, on consecutive spaces. One thing to note - fullscreen apps don't have a Space number, so you cannot use this method with them. Best you can get is to jump to the Space before, then swipe one to the right... yet another reason I avoid them entirely. This is my 'home' Space 1... [pic shrunk to tiny] with Safari, Finder, Calendar, Messages, System Prefs & Activity Monitor - all ready to go. 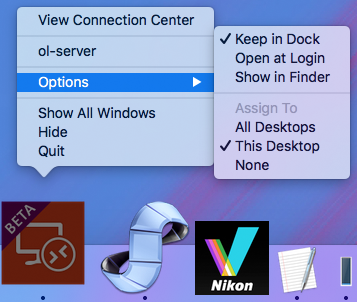 Now you're in control of where every app lives & how quickly you can get there... and you get to keep the menu bar. If you ever did want rid of the menu bar but keep the rest of this arrangement working as-is, it can be toggled in System Prefs > General - Automatically hide & show the menu bar; you just can't do the reverse for fullscreen apps. Not the answer you're looking for? Browse other questions tagged macos mac macbook-pro fullscreen macos-sierra or ask your own question. How do I maximize windows under macOS where no “zoom” option is available? Set an app to Full Screen mode, but keep windowed? Keep menu bar even in full screen mode? Why is Google chrome on OSX resizing the app when autohidden apple menu bar is shown instead of overlapping it?